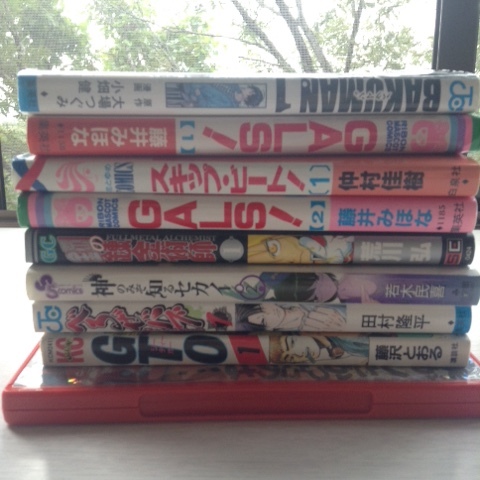 These are all one's I've read or watched the anime of, so it is good Japanese practise to read them again in! The added bonus of Manga is that all the Kanji has Furigana (readings) so I don't need to use a Kanji dictionary too much and they are fairly quick to read. 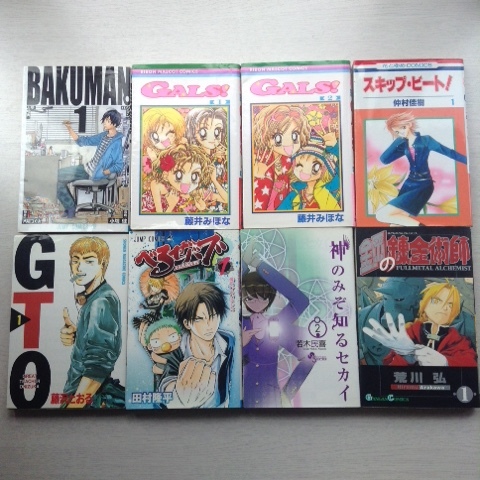 and still paid laround the price of one volume of manga in the UK. I never talk about manga that much on here really, (because I haven't had the time to read it much in the last couple of year) but suffice it to say that FMA and Gals especially are two of my all time favourites. Also I picked up the first episode of Detroit Metal City, a hilarious anime about a metal band, for 100 yen. Would anyone be interested in me writing about manga here? Let me know ok?